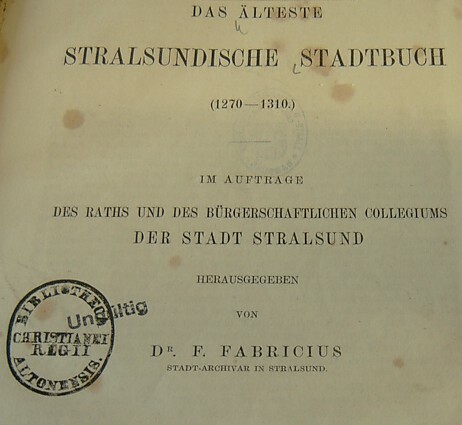 Das älteste Stralsunder Stadtbuch beginnt ab 1270. In einer der ersten Eintragungen wird Dithmarus Roghenbuc genannt. The first mentioned Roggenbuck was Dithmar. The text was written in latin and there were no dates. But the time period is somewhere around 1270 to 1280. After that time period the city book writers used date with the events. 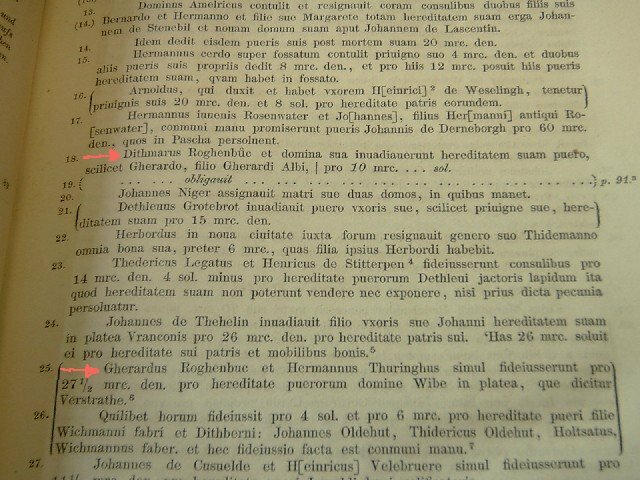 Other Roggenbuck mentions are: Gherardus (Gerhard or Gerald), Johanni, Lambert, Leo and Nicolaus. In total the name Roggenbuck was mentioned 18 time within a time period from 1270 to 1310. Sample of handwriting from three different writers in this book. Again text is written in Latin. 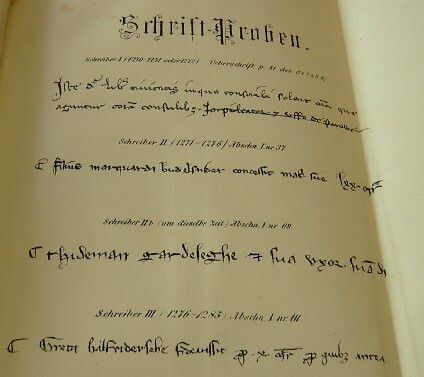 The original books are in the City Archive of the Stralsund. In the second city book of Stralsund (1310 to 1342) we find following Roggenbuck mentions: Arnold, Claus, Heseke, Hermann and Johannes.